Moneycation: Six months later: Has Groupon turned itself around? 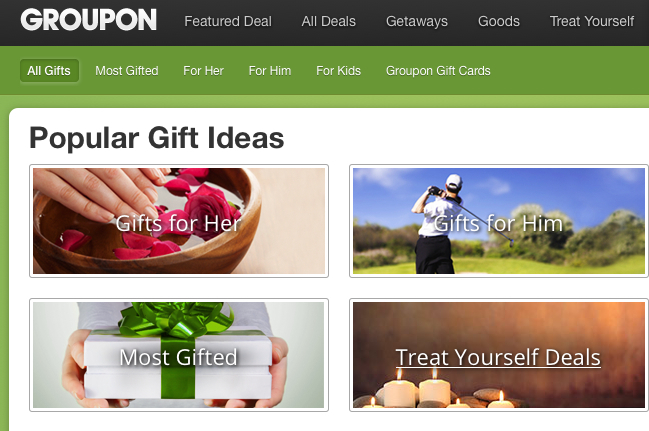 Six months later: Has Groupon turned itself around? Groupon was everyone's favorite thing when it first released its group coupon innovation to the market – everyone from users getting their favorite products and services on the cheap, to businesses getting a large cash influx in return for cheaper services provided at later dates, to investors hoping to cash in on the brilliant scheme and watch it grow, grow, grow. The entrepreneurial fairytale, however, would not last forever. After a number of controversial decisions by the founder and CEO and a number of quarters of not just disappointing, but devastating earnings reports, the company sacked the man who brought it into the world. Read on to see what happened with the promising startup, and see where it stands now. The expectations for Groupon were through the roof before it went public in 2011. A group of bankers suggested its market cap would be worth $30 billion and others suggested it was the next eBay. Unfortunately for Groupon, there were a series of problems leading up to the IPO which included a COO quitting, accounting scandals, and getting sued by their own employees because of working conditions. The bizarre tale continued on until the young techie founder, Andrew Mason, who promoted a wacky corporate culture for which everyone had so much hope, was fired. During his tenure Groupon shares fell 75%, and rebounded immediately following the release of his idiosyncratic resignation letter. While Mason was busy jump-starting his promising new career as a rock musician with his first album called “Hardly Workin'”, an album to which the current CEO compared Kermit The Frog's Rainbow Connections, Groupon's stocks saw steady incline, and in recent weeks have even seen a 22% surge in value with the release of an earnings report that indicated the interim CEO, an early financier Erik Lefkofsky, would be staying on permanently. The company a week ago was valued at $7.08 billion, which is still about half of its IPO price, but a strong amount nonetheless. As an original investment from an IPO, Groupon has obviously tanked, and it will remain in tank mode for those who invested in its IPO for some time. However, as a fresh investment, it could offer promising growth as the inflated euphoria that grips every new dot com IPO has settled into more realistic expectations. With the new CEO, the company now has a clear path forward and a clear strategy to move from simply marketing emails to being a premier mobile commerce app. There’s a potential to achieve compound stock earnings on the investment in the long run. While Groupon has certainly had its ups and downs from an investment perspective, it looks like it’s here to stay. The company now has a solid business plan, a solid approach to enticing new customers, and a solid team to manage it. At least this is what the perception on the market is, given their recent stock performance. Whether or not they will deliver on these new expectations, only time will tell – but it seems unlikely this resilient upstart will fall flat a second time. About the author: This is a guest post by freelance tech and business writer Jeremie Brenton. Jeremie is usually covering startups, e-business and giving advice to small businesses on using technology.